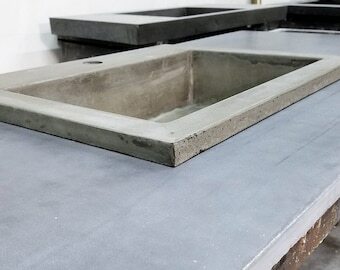 Concrete sinks, counters, furnishings, hand crafted. Concrete Vanity with Zero-Depth Basin (with slot drain), Bathroom Vanity with very shallow basin. 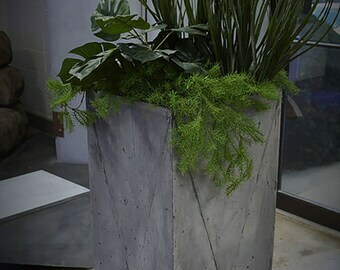 Love, love, love my planter!!!! Using it as a firewood holder and it looks great, thank you!! We create high-end products for our clients, for an array of applications! 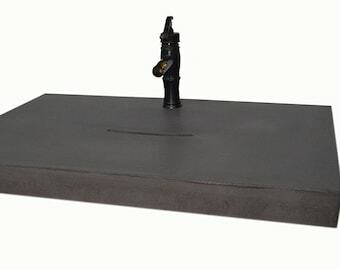 We create unique and custom Pieces, such as this waterfall table!